UPDATE: last foal of the 2010 season is born! 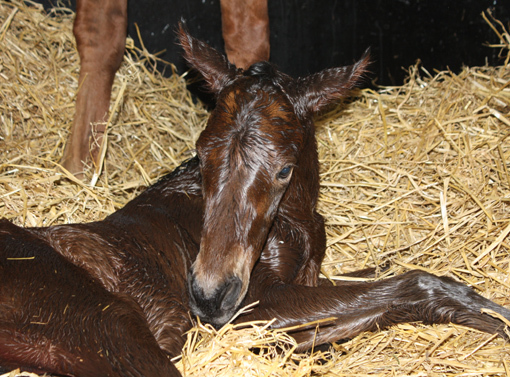 Stariya has the fourth filly in a row, this time by Darley stallion, Kheleyf. After Romandie foaling a beautiful filly foal 12 days ago, Third Dimension followed up with a big, strong colt foal by Lawman last week. 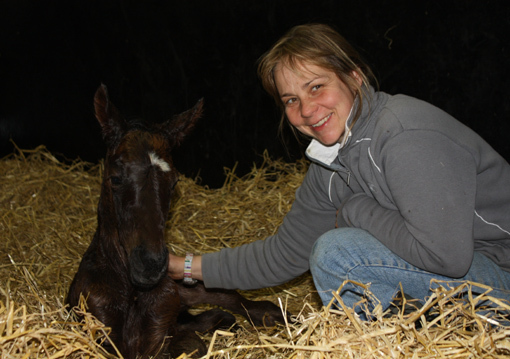 Yesterday Khatela delivered a massive colt foal by Cape Cross. There is now only Stariya left to foal. Hopefully she will do so very quickly as we badly need some uninterrupted (beauty)sleep! It is hard to believe how much effort goes into breeding animals. So much planning, agonising and waiting from the selection of the stallion, to getting the mare in foal and to a live foal being born, standing up, taking its first steps and sucking the vital first milk, that will set it off to a successful start in life! All the greater the joy and satisfaction when these little creatures finally make it safely into the world. 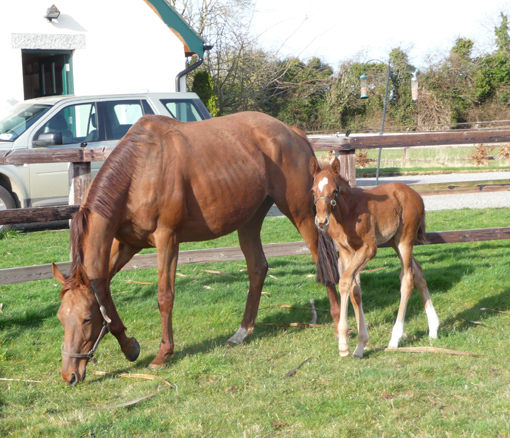 Romandie is a fantastic mother to her first foal, the lovely Peintre Celebre filly. More good news on the pregnancy front. Three of four mares belonging to Newsells Park have now been scanned in foal. These are Distinctive Look and Rave Reviews, in foal to Dalakhani and Specifically, dam of the Classic winner Speciosa, is in foal to Sea the Stars! 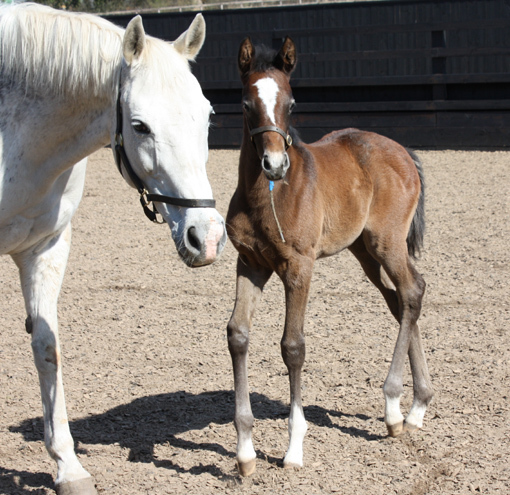 Miss Shaan adores her little Oratorio filly!